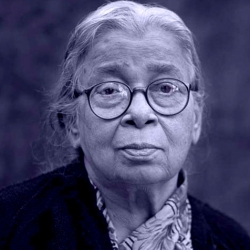 "Writer with eminence and a crusader with art & activism"
Born to literary parents in the city of Dhaka in Bangladesh, Mahasweta Devi moved to India after the partition. As a destiny scripted plan, she did her graduation at Vishvabharati University in Shantiniketan founded by Rabindranath Tagore. With a stint in her career as journalist, she became what the destiny scripted for her - an eminent writer with some exceptional work related to the study of the Lodhas and Shabars, the tribal communities of West Bengal, women and Dalits. Through her work she became an activist dedicated to the struggles of tribal people in Bihar, Madhya Pradesh and Chhattisgarh. Though known as a political and social activist and conscience-keeper, the writer in her showcased greatness. Her stories will live forever echoing her lifelong fight as a voice for the silenced and as long as there is oppression and intolerance in the world. Mahasweta Devi's work was so infectious that brought together many intellectuals, artists, writers and theatre workers in protest of the controversial policy making and particularly its implementation in connection with the commercialization of Santiniketan in recent years. Her exceptional and most relevant work won her the most prestigious Ramon Magsaysay Award in 1997. Her statement then "My India still lives behind a curtain of darkness. A curtain that separates mainstream society from the poor and the deprived", more than clearly reflected her true self as a compassionate crusader. Her impassioned inaugural speech describing India, which happened to be the first country to be the Fair's second time guest nation, her lines taken from the famous film song "Mera Joota Hai Japani" by Raj Kapoor, moved the audience to tears at the Frankfurt Book Fair in 2006. Hajar Churashir Maa (Mother of 1084), one of her most widely read books, was adapted for theatre and film among the others. Her other creations include The Queen of Jhansi, Aranyer Adhikar, Agnigarbha, Chotti Munda evam Tar Tir, Imaginary Maps, Dust on the Road, Our Non-Veg Cow , The Book of the Hunter, Rudali, Outcast, Sunghursh and many more. She was recognised with many awards which includes Sahitya Akademi Award (Bengali), Padma Shri, Padma Vibhushan and Jnanpith Award. She was indeed a glorious mother of Bengal, an eminent writer, a crusader for the oppressed who lived as a beacon for many in darkness.  This is a SoulPrints tribute to Mahasweta Devi.